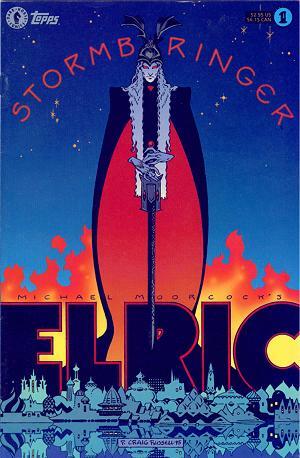 Two different, and appropriately weird, images of Elric for the novel Stormbringer. I love the unreal look of the first one… it puts me in mind of artists like Erol Otus and Peter Mullen. Paperback covers sometimes used to have very abstract, eerie looks to them. I’d love to do a project with a similar cover sometime.